In recent years, the WNBA's popularity has faltered. In fact, it has never become as popular as other professional sports, and especially hasn't reached the level of the men's NBA. Taking this into account, I attempted to rebrand the WNBA by creating a unique event to draw more people to the sport. 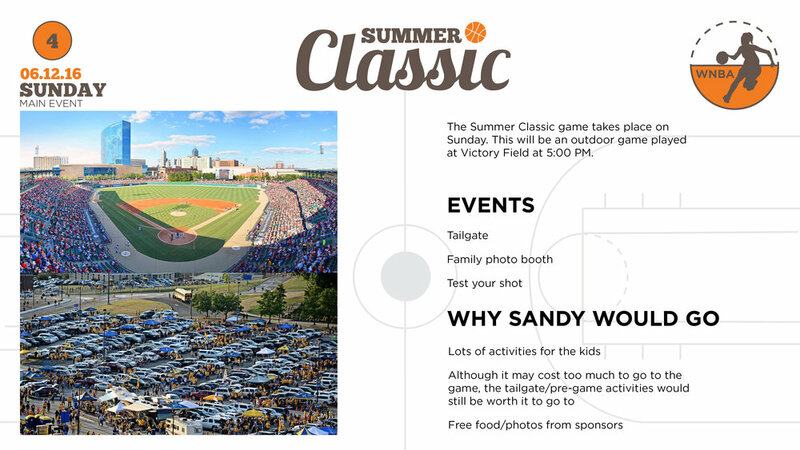 As a sport that is played in the summer, the WNBA has a big opportunity to use this as a way for families to get together and do things during the summer months, when their kid's aren't in school and there is a lot more free time. 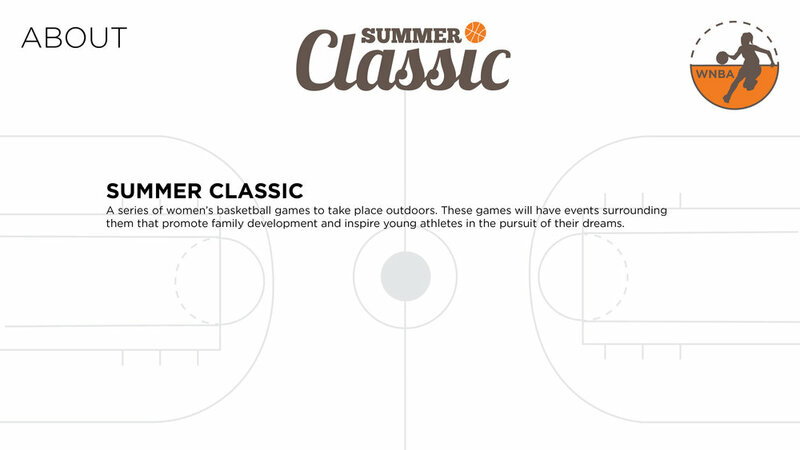 The proposed event is called the Summer Classic, and takes place over a long weekend. Events take place on each day to extend the weekend, culminating in the main WNBA basketball game being played on Sunday. 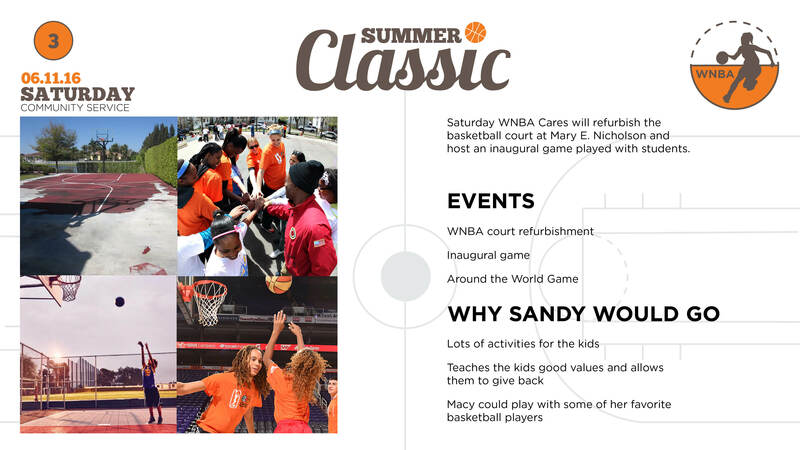 The surrounding events allow the WNBA to be more accessible to families and give back to the community through community service. The hope is that this will allow people to feel more connected to the women of the WNBA, and will create new fans and a wider audience.